Sparkmag: Can you be saving bucketloads on your mortgage? Can you be saving bucketloads on your mortgage? 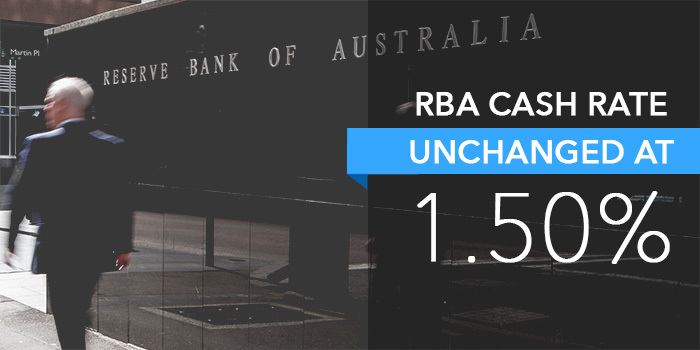 The Reserve Bank of Australia decided to once again leave the official cash rate unchanged at 1.5% with the last rate move back in August 2016. I'd like to share today's rate announcement and the thoughts on why the Reserve Bank of Australia has made this decision. Even though rates are unchanged, my role as a broker remains the same. There may be different rates available from our lenders, so I'm always on hand to ensure you have the right financial solution for your current circumstances, and are receiving the most suitable rate available to you. Ivan, if you'd like to have a chat about what today's news means for you and your finances, please don't hesitate to get in touch.